The S-bahn: it is an attraction in itself. It was used in the 1927 Sci Fi film Metropolis in order to give the illusion of cars flying among the higher floors of buildings. 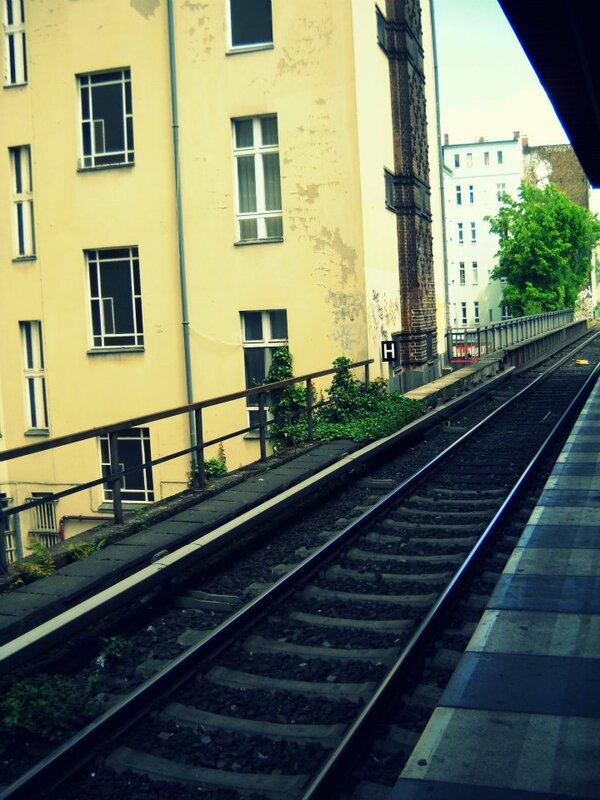 It is spectacular in certain places, such as between Alexanderplatz and Friedrichstrasse or where the space between the train lines and the buildings is so small that there are high chances you will at least wince when the train rushes by. There are no barriers in the U-bahn and S-bahn stations, but that doesn’t mean there will be no checks. No excuses: if you are caught without a ticket, the excuses with “The ticket counter was closed” or “I couldn’t find a ticket counter” will not hold. There are many ticket machines, even in trams, and on the buses you can also buy a ticket from the driver. On weekdays, there are several night buses with good connections, while during the weekends, all lines function at night. On the downside, it can be rather costly, but I think it pays off, given the high quality of the services. There are several types of tickets available: for tourists (48 or 72- hours), daily, weekly, monthly, short trips and many more combinations, which can be viewed here. Additionally, be prepared to endure a bit of cold while you are waiting for your ride in the underground; the stations are not heated since they are usually only a few meters below the streets, but all the transport means are. One more word of advice: when you take a bus, always use the first door and show your ticket to the driver. It’s more of a custom, since it would be rather difficult for the driver to make out the information on the ticket from more than half a meter away, but it is generally required that you follow this rule. This entry was posted in Atractii in Berlin, Viata in Berlin and tagged Public transport, Public transport at night, Tickets, Travelling in the city. Bookmark the permalink.